John Lennon tooth dot com. Yeah, that’s a real website, but it’s not just a page dedicated to the tooth of the famous English musician. A visit to that URL will land you on a project page describing details of how one Canadian dentist Michael Zuk aims to clone Mr. Lennon himself using a tooth he purchased from an auction for $31,000. “If scientists think they can clone Mammoths, then John Lennon could be next,” Zuk said. A totally legitimate inference! Zuk has been working with a team of scientists to fully sequence the DNA, hoping that the genetic codes could revive one of the most legendary artists of all time. The opportunity would be “mind blowing,” he says, although he’s still quiet on details of the ambitious project. A scientific clone of animals have been fairly successful in the past; despite its controversy at the time, Dolly the sheep was considered a major medical milestone. The FDA also says products from cloned animals is safe to eat, making it useful for alternative food production. Most recently, scientists have been able to clone human embryos to harvest stem cells. Yet despite these advancements, the thought of cloning a real, live human to resurrect the individual entity seems a bit far-fetched even with today’s technological capabilities. But you can’t hurt Zuk for his optimism. 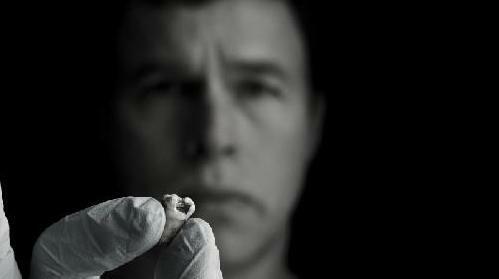 The story of how the tooth surfaced is almost as weird as the cloning project itself. In the 60’s, after Lennon had his tooth extracted, he gave it to his housekeeper Dot Jarlett to give to her Beatles-loving daughter. Since then, the tooth has seen better days, from making television and documentary appearances to going on cancer awareness tours around the United Kingdom. The daughter’s family held on to the rotten molar until they sold it away to Zuk at an auction in 2011. Now, the tooth is confined to a life of microscopic research for an overly ambitious venture. Although it is hard to believe the project will ever bring Lennon back to life, at the very least, scientists will able to fully sequence the musician’s DNA … which could be useful for future studies.